Following a review of almost 900 studies, the National Academies of Sciences, Engineering, and Medicine reported today that genetically modified organisms — GMOs — pose no more of a health risk than traditionally bred crops. However, GMOs do present two major agricultural problems in the forms of pesticide- and herbicide-resistance, according to the NAS committee. “We dug deeply into the literature to take a fresh look at the data on GMOs and conventionally bred crops,” Fred Gould, an entomologist and co-director of the Genetic Engineering and Society Center at North Carolina State University, said in a statement. Gould chaired the committee, a 20-member ensemble of botanists, environmental scientists, molecular biologists and food experts. The findings arrive as the federal government debates over proper labeling of genetically engineered crops in food products. Along with examining the many studies, the committee heard from a diverse panel of 80 diverse speakers at three public meetings and read more than 700 comments from members of the public to capture a sense of the issue surrounding genetically engineered crops. 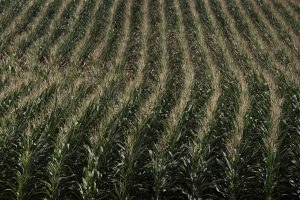 While they found no evidence suggesting a risk to humans and animals who consumed GMO crops, the researchers also looked at the crops’ effects on the environment and agriculture. The survey found evidence showing that genetically engineered crops — like insect- and herbicide-resistant plants — primarily caused problems when the appropriate management strategies were not followed. In these scenarios, insects and weeds became resistant to the pesticides or herbicides sprayed on the fields. Overall, the report said insect and plant diversity don’t seem to be threatened by genetically engineered crops. The NAS committee reviewed research and other publications of epidemiological data which reviewed the U.S. and Canada’s consumption of GMO crops. The report said that the distinction between conventional breeding and GMO crops is becoming less obvious, and technologies to improve plant genetics could raise safety issues in the future, the committee noted. “Clearly the report makes a bold statement in favor of greater transparency and modernizing the review system to make sure the regulatory tools are keeping pace with the technology,” Scott Faber, vice president for government affairs at the Environmental Working Group, which advocates labeling told The New York Times. Researchers also said they would like to see increased regulation of the effects of GMO crops and communication between regulating authorities and the public regarding agricultural industry.